Britannia Airport Cars are available to give you all the possible car rental services whether that be London Airport , Heathrow Airport Transfer , Gatwick Airport , Southend Airport , Luton Airport , Stansted Airport , or London City Airport according to your requirements. There are so many different travel agencies who are managing Heathrow Airport Transfer services at the busiest airport of United Kingdom, London Heathrow Airport, to give facilities to the international passengers. Some top traveling agencies have a number of means of transportation for their customers and give them choice to choose from one of them according to their choice. London has 6 airports. The names of the airports are: London Heathrow, Gatwick, Luton, Stansted, London City airport and the Southend. All airports have the both public transport and professionally licensed private minicab. Britannia Airport Cars are available on all of these airports for its services with perfect cars and professional drivers..
Ø Britannia Airport Cars offer luxury Heathrow Airport Minicab to all passengers and are more comfortable. Ø In case of Flight cancellations, Delays in flight timings and in absence of public transport and the things that can be happen during the extreme weather in winter, in such kind of situations, you can hire our Heathrow Airport Transfer in advance which can help you in tackle these situations better. Ø All of our Britannia Airport Cars have the facility of flight monitoring services and can schedule your pick up automatically. Ø Our Heathrow Airport Minicab drivers are professionally well trained to handle all kind of traffic situations and can also keep you entertain throughout your travel with some interesting information, music system or movies. Our Services of Britannia Airport Cars have many Heathrow Airport Minicab to be hired which will give you timely pick and drop. The most of the passengers, who arrive on airport, are so much eager to reach their destination quickly. From those there are some people who want to go home or some people want to meet their friends while some other people want to stay in some nearby hotel for a few days. Our Britannia Airport Cars services care for our passenger’s desire and their satisfaction. So we can provide you better Heathrow Airport Transfer facility with perfection From Heathrow Airport Terminal 1, Terminal 2, Terminal 3, Terminal 4, Terminal 5. Our agency provide Passengers a facility of online booking of Heathrow Airport Minicab and you can also make your payment by using any kind of online payment method or through card. Britannia Airport Cars provides you different kind of packages on our website to show the facilities provided by us according to the defined packages. As Britannia Airport Cars is a leading brand with lots of Airport Minicabs registered and licensed under a trusted firm. You will not have to worry about anything. You can hire a Heathrow Airport Minicab according to your needs and requirements just by using your cell phone or laptop. Now, it has become much easier to book your Heathrow Airport Minicab at last moment just by doing some simple steps.You will just have to tell the pick-up location and drop location and some details to book the car and the car will be waiting on airport for you. Our Heathrow Airport Minicab driver will be with a board with your name that will make it easy for you to know that which one is your Airport Minicab. .Britannia Airport Cars are available not only at airports, but providing it services at seaports as well. If you want to hire a minicab for to and from Portsmouth International Port , Harwich international Port , Southampton Cruise Port ,Dover Cruise Port and Tilbury Cruise Port . you are welcome here. Ø Provide you secure Payment methods and right services according to your demands. Ø Services are available 24x7x365. So, you can contact even in midnight and we shall provide you quick services with better drivers at any time. Ø You would not to take tension of delay of flight, because we monitor each and every flight and give you on time pick-up. Ø Britannia Airport Cars easy to book facility which will ensure you about quick booking and we also cares about easy cancellation of Minicabs if there is a flight gets cancelled. Ø Britannia Airport Cars are as affordable and best as you want. Our services will be worth of your money. Ø Britannia Airport Cars requires no hidden charges on booking any kind of car. Ø We provide you quick response from our customer support center which will help you in selecting the right one car with a right package according to your needs. Ø No matter whether it is about Local and outstation trip, Britannia Airport Cars have both kinds of minicabs available for your journey. Ø Our expert drivers are available with the right knowledge of each and every route which will make your journey or trip easier and you will not be late by any chance. Ø Easy and quick booking that will save your time, and secure payment methods that will help you in making yourself safe from wasting money. Ø Britannia Airport Cars provides on time pick-up, and you will not have to wait for Minicab anymore, because our drivers will be there before your flight lands. Ø Britannia Airport Cars cares about the comfort of each of its customers; we provide clean and comfortable minicabs to provide you a happy journey. Ø Our polite driver with great behavior will give you a self respect with their right manner of communication. If you are going to book a Airport minicab for Heathrow Airport Transfer, you can contact to Britannia Airport Cars services and can get the best one car according to your requirements and demands. Our experts are able to pick your call and to suggest you the way which can make your transfer easier and better. You just have to contact us once and we shall take care of your transfer. No matter how much long or short your destination is, Britannia Airport Cars handles all kinds of routes and makes it possible for you to get the comfortable journey with our car rental services.If you think that all the car rental service providers are same and cannot decide what to choose, just pick your phone and contact us to know more about our services, we shall surely be the choice you ever wanted to take.get the services of Airport to Airport Transfer like Heathrow to london city airport, Heathrow to Gatwick airport, Heathrow to Luton airport Transfer, Heathrow to Stansted Airport Transfer, Heathrow to Southend Airport Transfer, Heathrow to london airport Transfer Services. 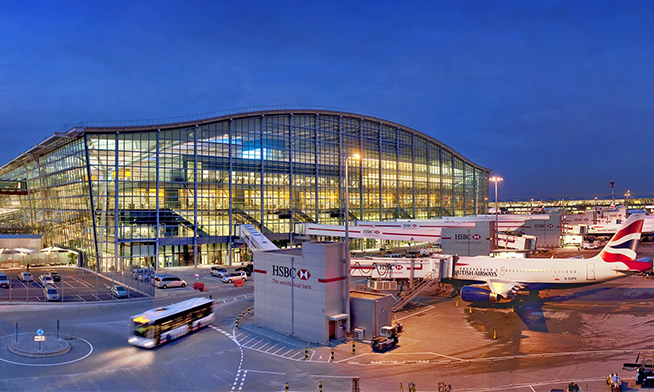 Ø Heathrow Airport terminal 2- travelex For International arrival -caffe Nero For UK arrival.